The arrangement of tables and chairs near them have great value in many premises and situations. It is often very convenient to draw a plan before the furniture arrangement. ConceptDraw DIAGRAM software offers the Seating Plans solution from the Building Plans area for fast and easy drawing the table seating chart template and samples. 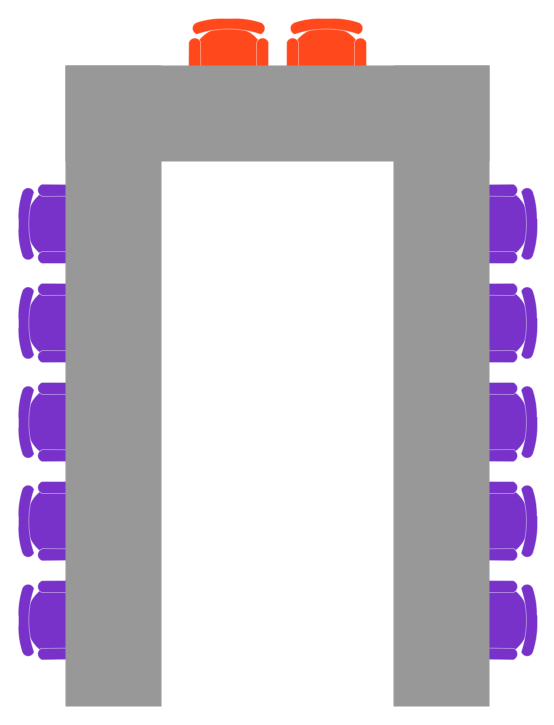 With powerful tools of Seating Plans Solution you don't need to be the artist because the most part of work is already done instead of you. Look at the predesigned vector objects in Seat Block library and samples in ConceptDraw STORE to verify this. This table seating chart template was created in ConceptDraw DIAGRAM using the Seating Plans Solution from the Building Plans area and is available from ConceptDraw STORE. An experienced user spent 5 minutes creating this sample. All source documents are vector graphic documents. They are available for reviewing, modifying, or converting to a variety of formats (PDF file, MS PowerPoint, MS Visio, and many other graphic formats) from the ConceptDraw STORE. 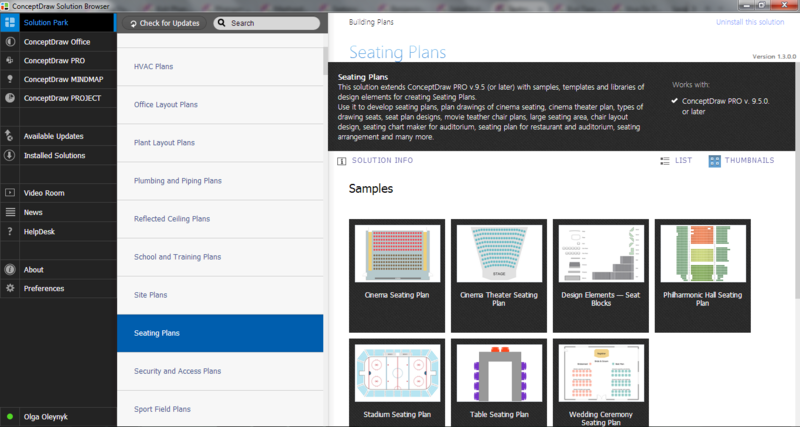 The Seating Plans Solution is available for all ConceptDraw DIAGRAM or later users.